POLLY WALES WINS 'BEST IN BRIDAL' AT COUTURE 2016! Save the date! 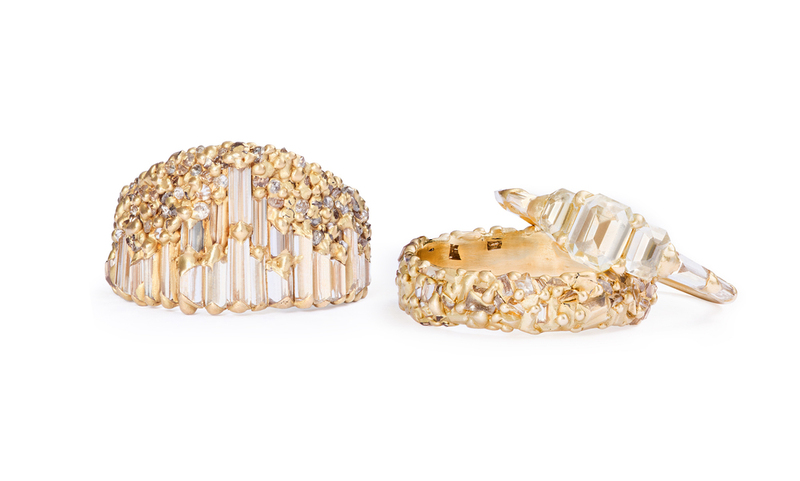 The award-winning British fine jeweler, Polly Wales, will have her most recent collections at GLADSTONE in Manchester-by-the-Sea on Wednesday, June 29, 11-7. She is fresh off a win for ‘Best in Bridal’ design at the Couture Show in Las Vegas earlier this month, which recognizes the most creative minds in fine jewelry that stretch the boundaries of design. We have had the pleasure of representing Polly Wales at Gladstone since 2012. 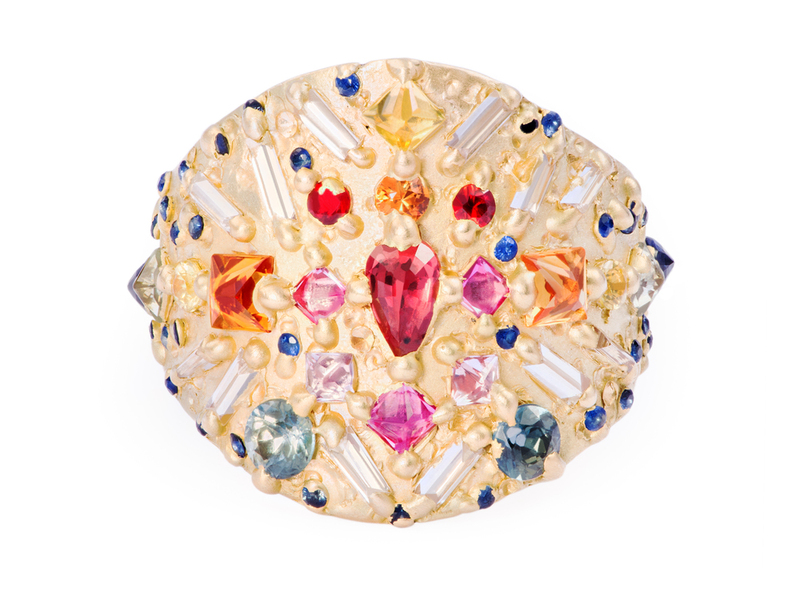 Inspired by ancient treasures, classical design, and contemporary approaches to color and hue, Polly Wales’ jewelry features precious gems and diamonds cast directly into reclaimed precious metals. Polly has pioneered this innovative approach to fine jewelry and her signature aesthetic has won her international acclaim. 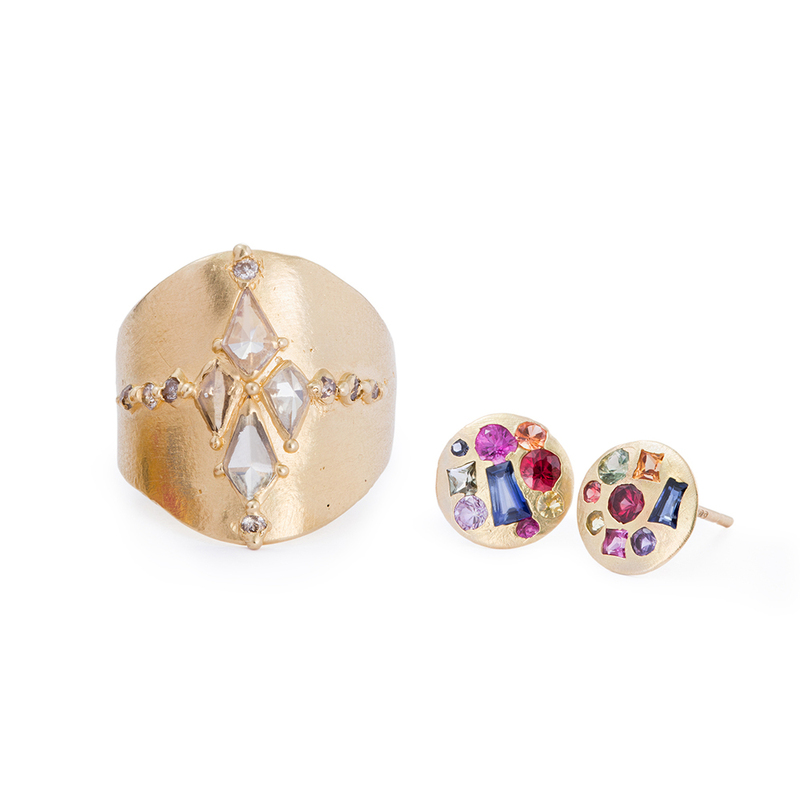 Each one-of-a-kind creation featuring randomly set gems, has a raw, unconventional beauty. Whether you are in search of bridal jewelry or a spectacular item for everyday wear, join us at GLADSTONE on June 29 to see Polly Wales’ designs first hand and enjoy special event pricing!